This wasn't a book I was asked to review. I bought this and downloaded it to kindle because it was set in Crete and I was going there on holiday. I started it on the plane and finished it a day later. In present day London Angie is preparing for her wedding to Nick. Angie's mum, Poppy left her home and family in Crete thirty years ago but Angie wants to re-connect with them and invite all her Cretan family to her wedding. 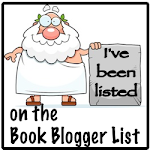 Against her mother's wishes Angie travels to Almeria in Crete to find her grandparents. The next part of the story takes place in Crete where Maria, Angie's grandmother tells her the story of her life and what happened in Almeria during the Second World War. Oh my goodness, how do I describe this book? It broke my heart and I cried. I had no idea of what had taken place in Crete during the war,it was so cruel and needless and the story was not always an easy read. Although this was the background of the story the author has cleverly weaved lots of sub plots through the book. I thought I had guessed one but I was completely wrong. There were many twists and turns, secrets and revelations. All through the book I felt I was there with Maria. I felt her fear and her pain. The descriptions of the surrounding countryside were vivid and well written. I think reading this in Crete although at the other end of the island from Almeria made the story even more poignant. Perhaps it wasn't the light holiday reading I should have choose but I understood better why the people are so proud of their island, they have fought hard for it. I looked differently at the places we visited and at the many old people I saw dressed in black clothes and I wondered. I cried happy tears at the ending and felt a sense of loss at not having the book to read anymore. My favourite author is Victoria Hislop and now debut author Patricia Wilson is up there with her. I want to tell you the whole story. I want to discuss with you what parts made me cry, I want to tell you what I thought was going to happen and didn't, but I also want you to read it the way I did and find out for yourself. I can't believe this book is only 98p for kindle, Patricia Wilson deserves so much more for this debut novel and I eagerly await her next book. Island of Secrets... 98p for kindle and £2.99 for paperback. Dear Anne Mackle, thank you so much for your review. You got your revenge, because you brought a tear to my eye too... but it was a happy one. As a debut author, I was a little nervous to read the Amazon reviews, I know many authors don't, because they can be very disheartening. Therefore, I was surprised to discover how much my readers enjoyed the story and I really enjoyed reading their kind remarks. 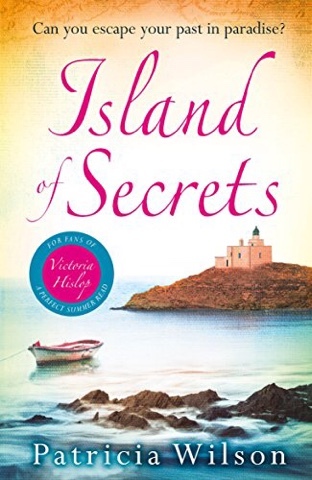 I am absolutely thrilled at how well Island of Secrets has done - 85,000 copies sold in less than 16 weeks. For a family saga, that is quite remarkable. Also, as part of the story is historical fiction, and the rest modern day fiction, the story is written in two very different styles, which is not to everyone's taste, but I wanted to keep the two timelines clearly separate. I am busy working on my next novel at the moment. The Cinnamon Tree (working title)is also a family saga based on a true story of injustice, but this time the setting is the beautiful Greek island of Rhodes, where I now live. I do hope you find the time to review that one too, Anne. I will be very interested to hear your unbiased views.